Upload your ePoster slide by COB 30th August 2018. We are pleased to welcome the following ePoster Presentations to the 2018 CRANAplus Conference in Cairns, Queensland. Electronic posters (ePosters) will be displayed for the duration of the conference on large flat screen monitors in the exhibition and catering areas. A PDF version of your ePoster will also be included on the conference app and website. Poster slides will rotate automatically and each will be shown for one minute duration at a time. Delegates will be able to pause individual posters to view them in more detail. Please use the template and instructions above to prepare your ePoster slide. Note all ePosters must be submitted using the template provided with content limited to one slide. 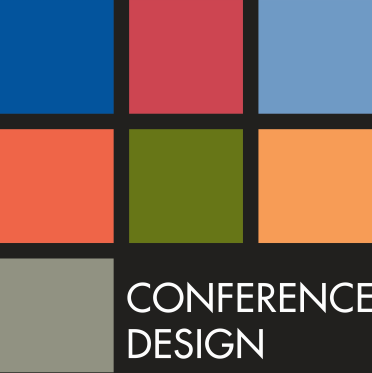 If you have any questions regarding your ePoster presentation, please contact nikia@conferencedesign.com.au. e-Posters are a visual presentation of the main points of your topic and make use of graphics such maps, photographs and charts. An e-Poster presentation is a graphic/textual way to show others your work. Therefore, your poster presentation should rely on colour, diagrams, charts and visual images to illustrate your ideas rather that presenting information in text. A minimum of three (3) relevant visual images is recommended. These should be clearly labelled. Select colour combinations that are simple and pleasing to the eye. Two/three colours will unify the poster. Lay out and organise the material to make the main message clear. Check typography, avoid abbreviations, acronyms and jargon. Your e-Poster should be formatted in a way that the reader’s eye movement should be naturally down the column or along rows. Remember that SIZE attracts attention in your typography. Use arrows, pointing hands, numbers and letters to clarify sequences. Use simplicity, don’t overload the e-Poster! Key references (if appropriate) should be placed in a small text box at the bottom right hand corner of your e-Poster, in no more than 12-point font. Is your e-Poster reader-friendly, clear and concise? Am I drawn to this e-Poster? Can colleagues quickly examine the e-Poster and understand major points? Does it stimulate interest and conversation? e-Poster must be prepared in PowerPoint (1 slide in 16:9 format). They will be displayed during the conference on a large flat-screen monitor in the trade exhibition area.